Nylon PA66 sleeve is braided from 20 mil 6-6 Nylon Polyamide monofilament. 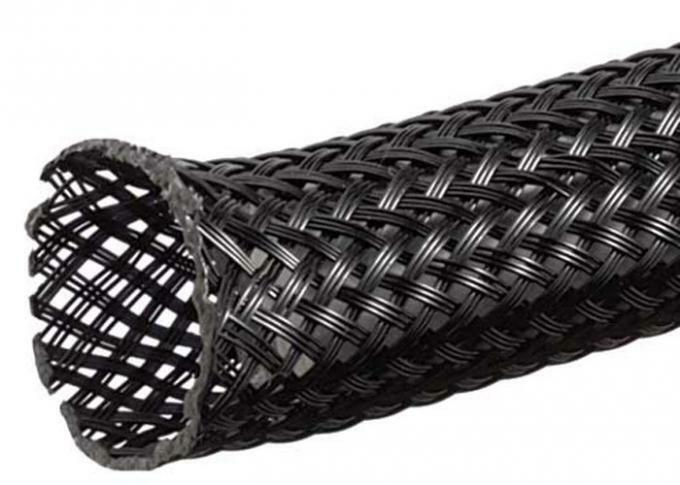 Heavy duty and flexible, this sleeving is extremely versatile in any industrial application that calls for abrasion protection without any sacrifice in flexibility or durability. Nylon PA66 sleeveoutperforms all competitive round monofilament sleeving in standardized abrasion tests. SD is also more economical and easy to use, cutting cleanly with a hot knife, and expanding up to 50% for easy installation over plugs and connectors.